Reports are rolling in that the U.S. Commodities and Futures Trading Commission (CFTC) has subpoenaed Tether and Bitfinex, presumably, to discuss the definition of transparent. Your auditors quit after never actually completing a single full audit. The blockchain confirms what you claim your balance to be, sure… but where are those accounts? Maybe this particular government agency will prove itself to be useful and we can all get to the bottom of what it means to be “transparent”, and maybe they’ll tackle “always” and “fully” while they’re at it. 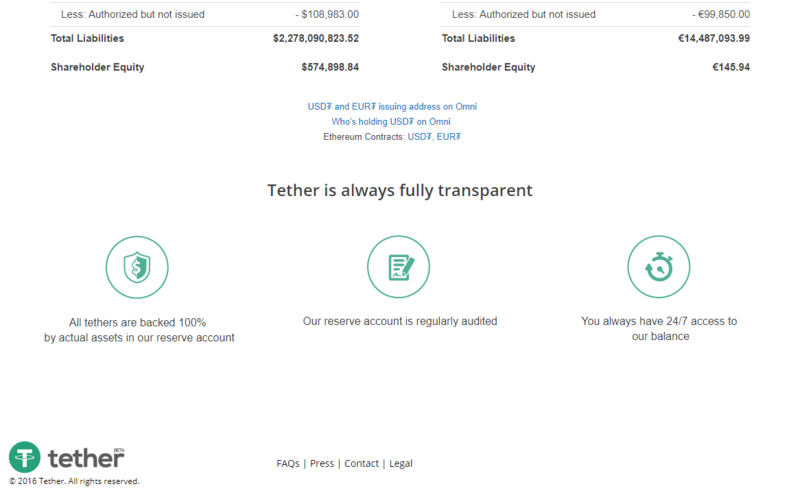 The real question is: Can bitcoin hold a 5 digit valuation without tether? I think not.